One of the most widespread food trends of the past quarter-century is called gluten-free eating. Originally intended for people who suffer from a specific medical ailment known as Celiac disease, the regimen has caught fire among the health-conscious. Thousands of restaurants, large and small, now offer gluten-free items on their menus. In some cases, eateries now offer entire gluten-free menus to patrons. Because the huge majority of current gluten-free advocates do not suffer from Celiac disease, the question must be asked: Is there something for everyone in gluten-free eating? What are the advantages and disadvantages of going this route? Here are some of the key facts about this important new dietary trend, which has become something of a social movement as well. 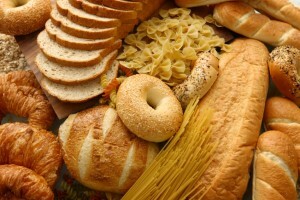 • “Going gluten-free” almost always entails a huge reduction in consumption of processed foods. Fresher, cleaner eating is one of the big advantages that most people notice when they cut gluten from their diets. • Some studies have shown that cutting out gluten makes it easier to lose weight due to an overall decreased starch intake. Many packaged foods, as well as barley, rye and wheat are typical gluten-rich foods. • Many people who do not have Celiac disease but who eliminated gluten from their diets have noticed an overall improvement in digestion. Typical results of a gluten-free regimen include fewer problems with upset stomachs, less cramping and a huge reduction in stomach gas. • By far, the most common advantage cited by gluten-free converts is an incredible increase in physical energy. Still the subject of scientific studies, this phenomenon seems to be at least part of the reason that gluten-free eating is enjoying widespread popularity. Word-of-mouth “advertising” is doing wonders for the trend, and the words “I just have more energy” seem to be the clarion call of the new believers. • People who eliminate flour and other glutens from their diets usually begin investigating other, healthier grains like rice and quinoa. The so-called “ancient grains” are already enjoying a renaissance in health food stores due to the gluten-free trend. • Some studies have pointed to neurological benefits of a gluten-free diet. The result could be clearer thinking, sharper mental focus, and a generally better mood. Depression, headaches and foggy thinking are just three of the things that have been associated with the elimination of gluten. Major research projects are underway to determine whether an abundance of gluten in the human diet might lead to or exacerbate Parkinson’s, Alzheimer’s and autism. • One of the most controversial aspects of gluten-free eating involves the supposed effect the diet might have on autism. One thing is known: people who already suffer from autism and who also have gluten sensitivities can reduce their autism symptoms by going on a gluten-free diet. Whether this same result can be obtained for autistic people who are not gluten sensitive has yet to be determined. • Even so, many parents of autistic children are opting for gluten-free eating in their households in order to minimize their children’s symptoms, even though the treatment is not currently supported by science. • It is important for anyone who might have Celiac disease to see a doctor and get a diagnosis. The disorder is serious business and should not be self-diagnosed under any circumstances. • Gluten elimination can be a tricky endeavor because the substance is able to “hide” in all sorts of places. For example, many salad dressings, medications and supplements contain gluten, as do most veggie burgers. 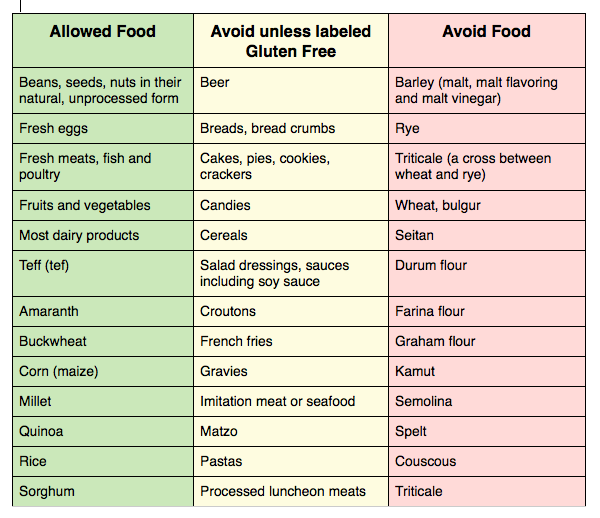 The key thing for gluten-free consumers to do is get wise about labels and learn the typical hiding places for gluten. • Cutting gluten out will mean saying goodbye to most, but not all, grains. Millet, quinoa, buckwheat and amaranth are still fair game. • Don’t expect to instantly and magically lose weight after going gluten-free. Whether a person loses weight, and how much weight is lost, depends on what one substitutes for all those gluten-rich foods. The best route seems to be an increase in healthful choices and avoidance of processed foods. • People with all sorts of skin conditions report an abatement of symptoms after going gluten-free. Especially among sufferers of eczema, there seems to be rapid improvement in the condition after gluten is removed from the diet of the sufferer. • Some of the most common gluten-free grocery items include buckwheat, fresh produce, quinoa and gluten-free flours. Every new food trend either dies out quickly, tapers off within a few years, or sticks around and becomes part of the culinary fabric of society.
. Because there is much ongoing research into the advantages and disadvantages of gluten in the human diet, the next decade will be a revelatory time for one of the biggest health stories of this century. People really should try going to http://www.paleogrubs.com so that they can purchase the ebook for $37.00 and get 460 recipes, then you get 4 free books free plus 10 weeks of recipes plus you get emails periodically from their website. I love the website, it is gluten free. I made some catfish with, parsley, basil, sea salt, lemon. That’s it. Then I cooked it at 250* degrees for about 25 minutes. It was so good and I placed it on a bed of whole green beans. I used horseradish as my sauce.